If it’s been a while since you’ve visited Cocoa Beach, it’s definitely time to plan your next trip. Along with the staple attractions in Cocoa Beach and along Florida’s Space Coast, we’ve had some new additions that you won’t want to miss out on. Hit a beachside hole-in-one at Lighthouse Cove Mini Golf. Adjacent to The Cocoa Beach Surf Company, this 36-hole course features sea life, waterfalls and more. Not to mention, it’s located just steps away from the shores of Cocoa Beach. Here you can enjoy a cold craft beer, a handspun milkshake or a delicious scoop of ice cream in the pro shop before ­– or after – you tee off. This exciting obstacle course opened up in October 2016 and is a great way for people of all ages to get out of their comfort zone and into the canopy. This aerial park suspends guests in the air on 45-foot poles and challenges them to navigate their way through 48 unique obstacles. Built among 100-year-old live oak trees, Cocoa Beach Aerial Adventures has courses of all different levels of difficulty, so whether you’re 6-years-old or 60, this is a great activity to get the family active while visiting. Plus, at the top of the course you can see both the Atlantic Ocean and the Banana River. This recent addition to Cocoa Village, a shopping and dining hub about 15 minutes from Cocoa Beach, is perfect for a night out after a day at the beach. Bring in your favorite bottle of wine or beverage and relax while you paint a one-of-a-kind work of art to take home with you. 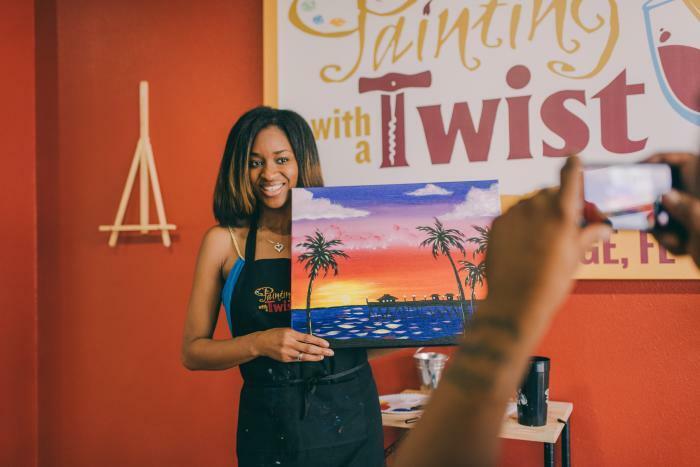 At Painting with a Twist, you’ll have the chance to explore your artistic side while receiving step-by-step instruction from a skilled and enthusiastic local artist. Please note that Friday and Saturday classes are 18+ only. Not only can you see real rockets and the Space Shuttle Atlantis at the Kennedy Space Center Visitor Complex, but now you can come face to face with heroes and legends of space travel in this new immersive experience. Heroes and Legends allows you relive the thrills of America’s early space missions through a multisensory 4-D experience and authentic artifacts from the astronaut and space program. This new exhibit is included with your admission to KSC. Put on your thinking caps and get ready to decipher puzzles, crack codes and find hidden items to escape in under an hour at Escape Cocoa Beach. Choose any one of the four exciting scenarios and work as a team to solve it before time runs out. You’ll be sure to have a thrilling and memorable experience as you combine your wits to face this fun challenge. 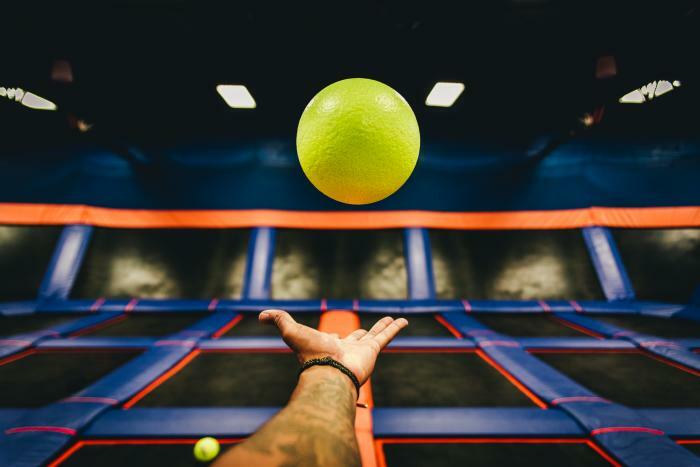 The world’s first indoor trampoline park came to Rockledge back in July 2016 and guests have been – quite literally – bouncing up and down with excitement ever since. Sky Zone is the perfect place for fun fitness, where you can bounce, flip and fly, all without even realizing you’re getting a workout too. Friday nights are home to Jumpalooza, a 90-minute open jump that includes pizza and a drink; Saturday night is home to Sky Jam, which is for those 14 and older starting at 9 p.m.
For more information on all of the exciting attractions found in Cocoa Beach and along Florida’s Space Coast, click here.